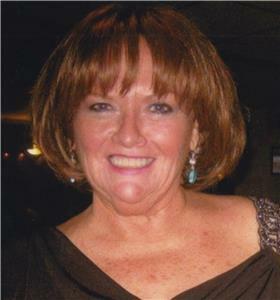 Kathleen Grimes, 68, of Chattanooga, passed away on Tuesday, January 23, 2018. She was born in Louisville, Ky., and was the only child of Marie Grimes, who preceded her in death. Kathleen moved to Collegedale, Tn., in 1969 where she entered the nursing program at Southern Adventist University and put herself through school by working at McKee Bakery. Kathleen’s nursing career began at Erlanger Medical Center where, after several years, she advanced to the position of Nurse Manager of the Erlanger Emergency Room. She was a long time member of the Elks Lodge Club on Graysville Road, where she held the title of Exalted Ruler for two years. A visitation will be held from 2-4 p.m. on Saturday, Jan. 27, at the East Brainerd Chapel of Chattanooga Funeral Home. A Celebration of Life Service will be held at 2 p.m. on Sunday, Feb. 11, at the Elks Lodge on Graysville Road. In lieu of flowers, memorial contributions may be made to Hospice of Chattanooga at hospiceofchattanooga.org. Arrangements are by the East Brainerd Chapel of Chattanooga Funeral Home, Crematory & Florist, 8214 East Brainerd Road. Please share your memories at chattanoogaeastbrainerdchapel.com.